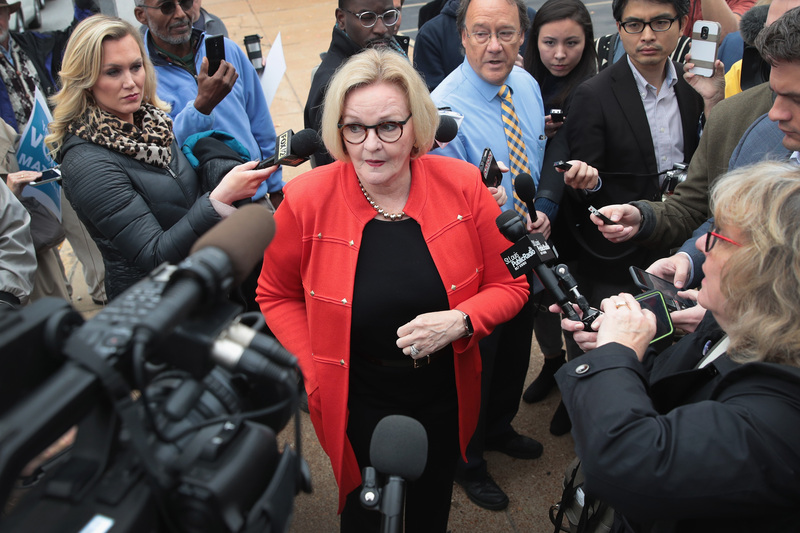 Sen. Claire McCaskill bemoaned the partisanship during the retirement parties for out-going senators on Wednesday and blamed the divide on Republican Senate Majority Leader Mitch McConnell. McCaskill was seemingly upset that Republicans and Democrats each had their own retirement parties rather than coming together as one senatorial body to wish out-going congressmen farewell. McConnell’s office defended the decision citing the years-long tradition. “The Democrats have held separate caucus retirement dinners for over a decade — long before Sen. McConnell became Leader,” the Kentucky Republican’s office told The Daily Caller News Foundation. McCaskill lost re-election in November to Republican Sen.-elect Josh Hawley after a closely watched campaign. While she served two terms in the U.S. Senate, she ultimately failed to distance herself from her liberal voting record as she portrayed herself as a moderate while on the campaign trail. McCaskill office did responded to TheDCNF’s request for comment.